Alcatel releases the successor of the popular 918N Glory. 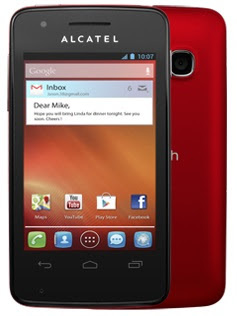 The Alcatel One Touch Glory 2 trumps the competition with it being powered by Android 4.1, yes that's Jelly Bean. So for those of you who wants to experience the "buttery" smooth interface of Google's latest OS update, this 1GHz baby might be a good deal. The Glory 2's 3.5-inch screen is an upgrade of the 918N. Other stuff wont keep you interested - 3.2MP camera, 512MB RAM, 4GB internal memory and 1,400 mAh battery. However, you can get it free with Sun Cellular's Sundroid Postpais Plan 350. You can check out the rest of the specs below.